Attorney Kiley has headed the Boston Office since 1987. He is a former Massachusetts Assistant Attorney General, having served as the First Assistant Attorney General between 1977 and 1987. His initial practice with the firm built off of that state service and his practice has grown ever since. Attorney Kiley continues to provide occasional counsel to state agencies and authorities, but his government practice now focuses on cases involving state, federal and local government for private businesses and citizens. His practice covers all areas handled by the firm, with an emphasis on administrative, constitutional and criminal law. He has a nationwide practice in white collar criminal matters and in election law generally and initiatives and referendum matters in particular. He has tried cases and handled appeals for a wide range of clients at every level of the Massachusetts and United States Courts, including the presentation of arguments to the United States Supreme Court. Attorney Kiley graduated from Harvard College with honors in 1968, served in the United States Army and then attended Boston University Law School. In 1973, Mr. Kiley joined Attorney Cosgrove in the office of Francis X. Bellotti at the firm's current Quincy address. He returned to the firm in 1987. 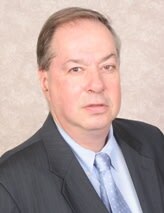 Mr. Kiley has been on the Board of Arbella Mutual Insurance Company since it was founded in 1988. He won National Citizen of the Year awards from the United States Marshals Service in 1996 and the United States Department of Justice in 1997. He is also a fellow of the American College of Trial Attorneys.